1868. Exhibit at the Scottish Cycle Museum. The velocipede was the predecessor of the bicycle, a human-powered vehicle introduced in the Victorian age. These vehicles had a variety of designs, of two, three, or four wheels. 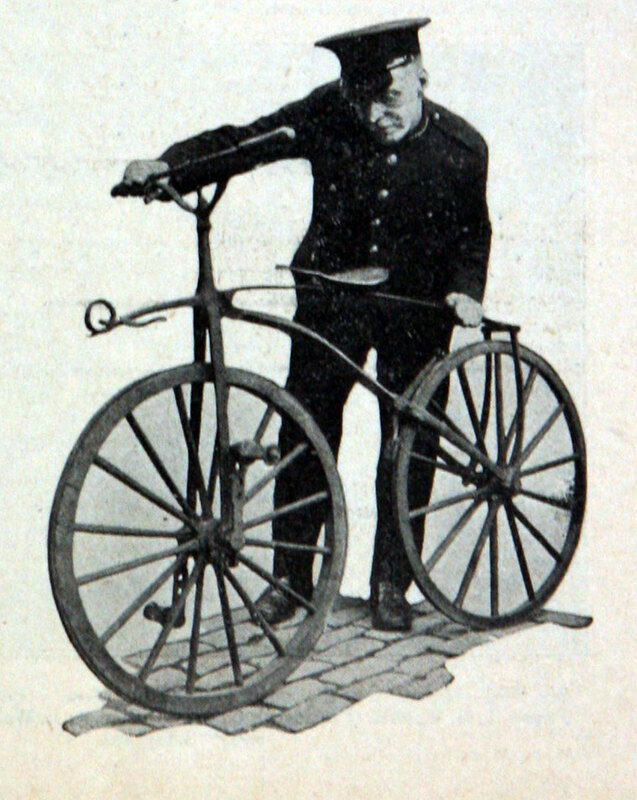 Some two-wheeled designs had pedals mounted on the front wheel, other three and four-wheeled designs used treadles and levers to drive the rear wheels. Later two-wheel versions had increasingly large front wheels, directly driven by bicycle pedals, and a smaller back wheel—these leading to the Penny-Farthing. Invented in 1863 in France by Pierre Lallement, the two-wheeled velocipede was sometimes called the boneshaker. 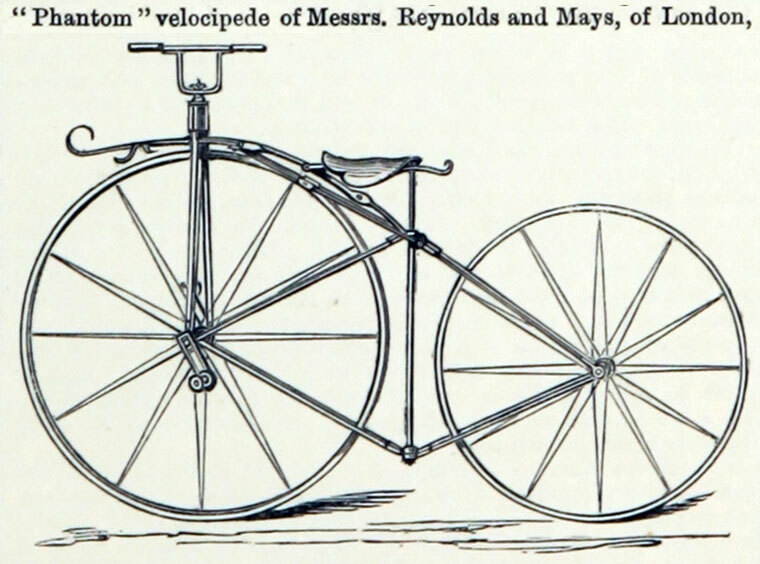 The Michaux company was the first to mass-produce the velocipede, from 1867 to 1870. 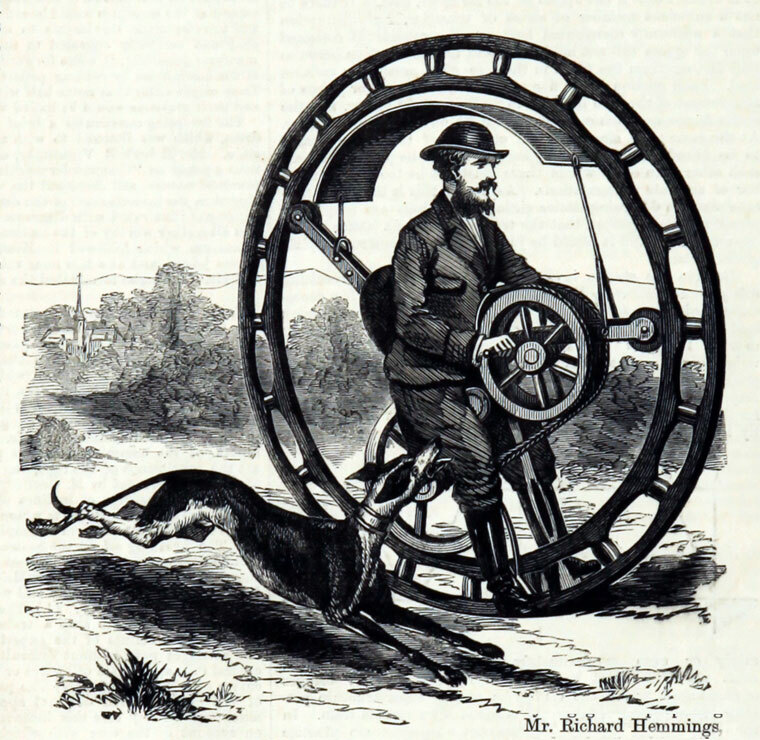 It is also reported that the English scientist Robert Hooke invented the velocipede in the 17th century. This vehicle looked similar to the earliest horseless carriages. 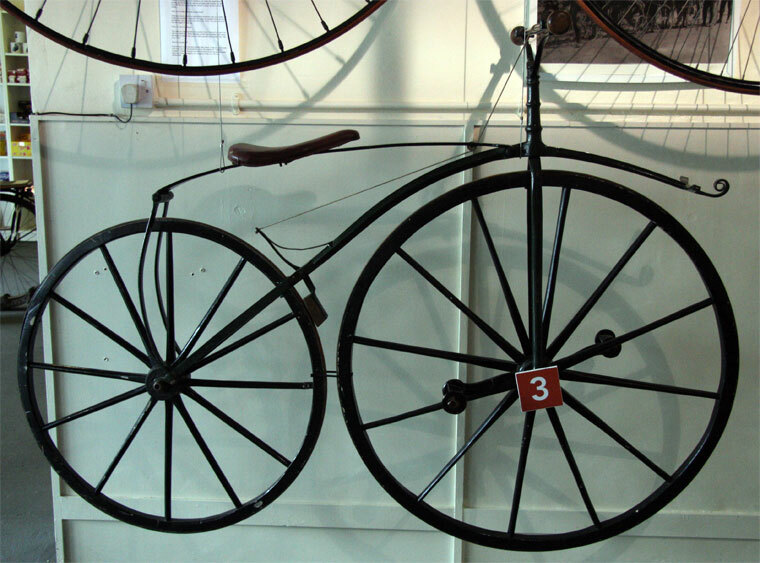 HOOSICK FALLS, New York, claims to have produced the first velocipede. It was built in 1821 by David Ball and Jason Burrill,and was an undoubted success.It was in existence as late as 1866 when it was destroyed by fire, together with the building in which it was kept.. This page was last edited on 23 October 2012, at 11:29.